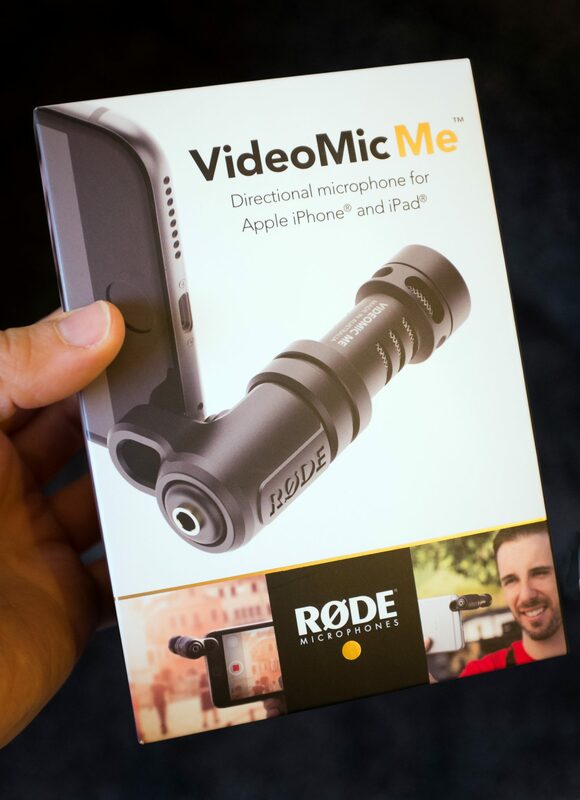 The Røde VideoMic Me is a mini shotgun mic and the latest mobile friendly microphone from Røde. There are many small microphones that will plug into the TRRS jack of a mobile device. But up until I tried the VideoMicro I’d not found one I was happy to carry with me every day. The specs of the VideoMic Me are pretty much identical to the VideoMicro. They both use the same cardioid capsule. The obvious differences are the TRRS jack and flexible mounting bracket. 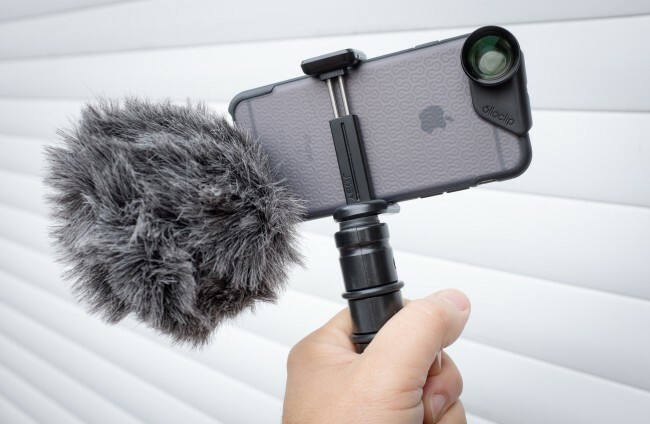 This enables the mic to clip snuggly to your device without the need for a hotshoe mount. It also has the addition of a headphone jack for monitoring audio with certain recording apps. A fantastic addition for those who take the audio quality of their videos seriously. For those with the budget, I’d grab the VideoMicPro and the VideoMic Me. I like to leave my kit bags packed and not think about swapping kit from one to the other. For those right at the other end of the budget let’s not forget how great Lav mics can be. If you are happy clipping a mic on to your subject and don’t need to move, then a Lav mic is all you need. Especially if you are only doing pieces to camera. I like the freedom the VideoMic Me gives and would be happy using it without any kind of rig or handle. Unless I need to keep flipping between subject and myself. Then some kind of grip will help. Remember that the VideoMic Me is in effect a tiny shotgun mic and picks up audio directly in front of it. This assists you in focusing on sound from the subject. Reducing the sound that happens around you. You can be heard speaking behind the phone, but at a much lower volume. In a quiet room with no distractions I’m often happy to use the phone’s inbuilt mic. In a noisy space with lots going on, a plug-in mic helps. Outside, with a little wind, the iPhone mics are useless at grabbing quality audio. 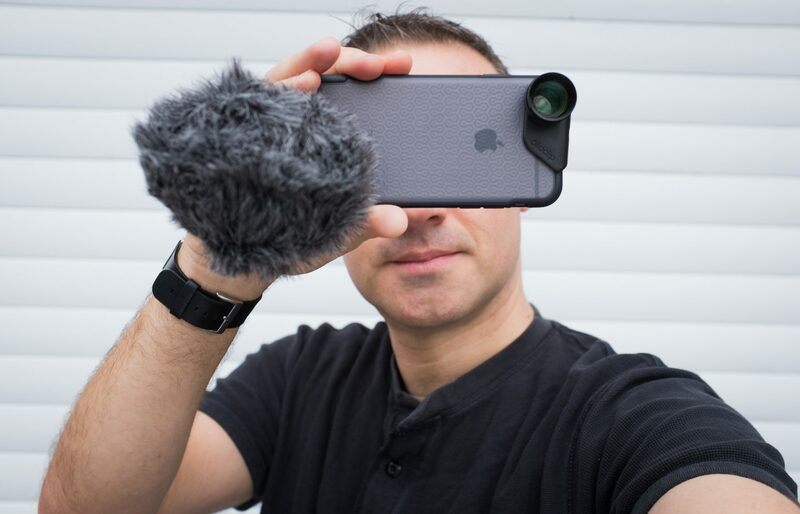 If I’m recording audio alone then I’m happy to slide a simple windbreak over the end of my phone. If shooting video, a directional mic with a windshield (dead cat) is a must. 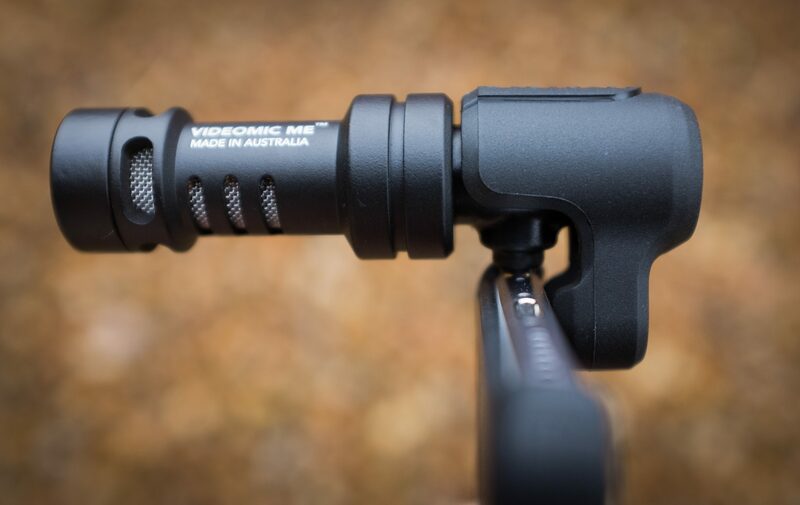 After trying the Røde VideoMic Me out in various situations, I’m happy for this to be my main every day carry. It’s simple, small, affordable and delivers great quality audio indoors and out. Even in high winds. There are no switches to forget to switch, no batteries to forget to charge. The ceramic coated body means it can survive rattling around at the bottom a bag. Just as well, as it doesn’t come with a carry case. I pack it with the windshield attached. As I often move when I film it’s nearly always used. The headphone jack on the rear of the device is a great addition if you use apps that let you monitor audio during recording. It also allows you to review the audio on the phone without removing the mic. The flexible mounting bracket means it will work with a variety of phones and cases. Though it still may not fit over some of the bulkier waterproof cases. Make sure the mic jack on your model of phone is not near the lens. Especially if you use an Android device. When the dead cat is attached it may block the lens. I’m always looking at simplifying the kit I carry without losing quality in the media I capture. The VideoMic Me should be a staple piece of kit for any iPhone equipped video blogger or networked journalist. I’m @Documentally on Twitter. As well as documenting and public speaking, I also offer a variety of workshops and training courses. Please check Documentally.com/workshops for more information. Yes I considered that when i was thinking about which phones it may suit. Would be interesting to compile a list of phones that are compatible. Next time we meet we can test it as I plan to devise a smaller indoor mic shield. You can get an extension lead from Rode (about £10). Then you have to prop up the mic or improvise a way of attaching it to the camera. Cut a finger off a glove? Yes i checked this out when saw your tweet. The cycling feature looks handy. Not sure about filming. Would velcro not be a more versatile fixing? Alas Nexus 6 is not dead cat friendly given lens and Jack proximity. Does it ship with the dead cat? I see that it does… Are those things washable/replaceable? I do believe so. You expecting to get it dirty? 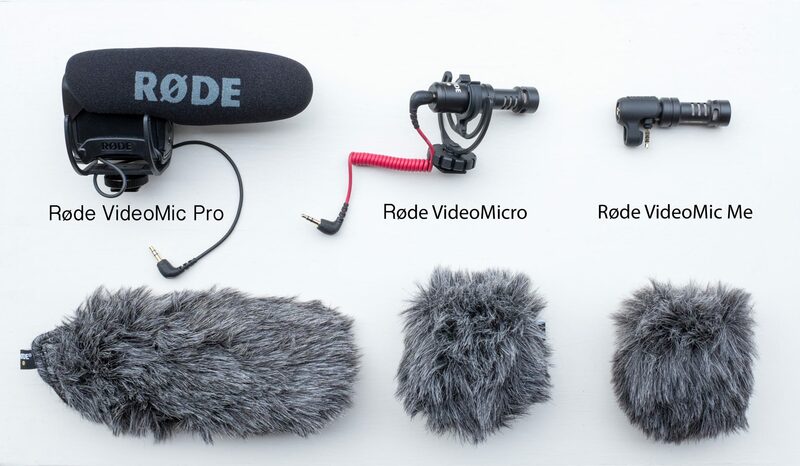 The Røde Video Micro is more suited to Android devices and comes with a dead cat. Is it plug and play or will it require a app to operate with Iphone video? Is the videomic me compatible with a nexus 5x and if so does it require an app to operate? If the mic port is on the same side as the lens the wind shield will get in the way of the lens. This is a very useful review! 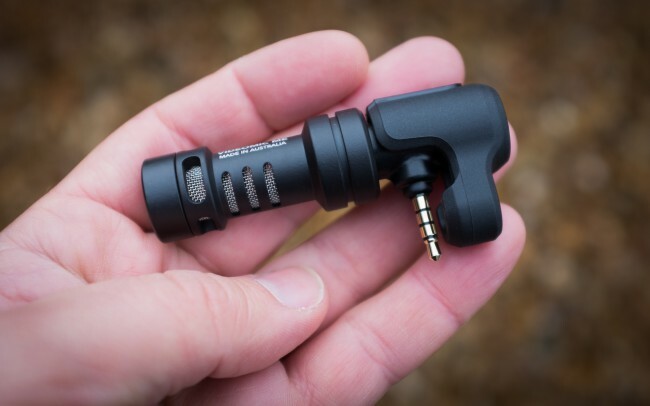 One question – since this mic attaches directly to the phone, does it easily pick up noise from tapping the phone screen or if the phone moves in your hand while you are using it? No more than if you use the internal mic. I tend to touch the screen more than tap and if I was shooting something that needed perfect sound would monitor the audio as I recorded. Have you tested the mic in bass heavy environment like loud venue, concerts , club. I’m looking for a simple solution to record my band rehearsals. The loudness and the bass is creating a lot of distortion. This mic could be a great solution. Do you have a figure for effective range of the mike? I’m planning to shoot videos where I’m 4-5 meters away from the phone and the mike, would it pick up my voice any better than the phone’s built-in? Hi, It depends on your environment. It is by no means a shotgun mic. A shotgun mic has to be long to have the kind of reach you are talking about. But in a quiet space you may capture something useable. Always try to get the mic as close to the subject as possible. A phone in the pocket with a Lav mic attached may be better in that instance. Thanks for the details. My problem is that I don’t have a lot of time for post-production (matching the video recorded by one device with the audio captured by a lav-connected phone), so I have to go for a solution where I can do everything on-site, whilst recording. That would mean a real shotgun microphone then. Does it compatible with other video and Audio apps? Yes it’s just connected with a minijack. Nothing complicated. I don’t hear the feedback from a headset connected at the rear of the Mic when I’m recording. Yu need to use it with a compatible app. Filmic Pro. Check iOS apps that have Core Audio. Great review! I’m wondering if there’d be room for it, if I’m using the Lanparte Gimball with an iPhone 6. What do you think? Not sure you can use any mic with a Gimbal unless it’s attached to the gimbal as the weight will throw it off balance. I know that’s the case with mine. Thanks for your great review!!!. 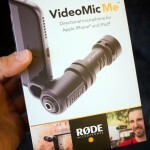 I am wondering if “Røde VideoMic me” could be also connected to a DSLR camera using a TRRS to TRS adapter. It would be great to record sounds primarily with a smartphone but also with a DSLR or other TRS compatible devices using same mic. I’ve got to say I was very disappointed with this mic, it produced no volume of audio, the signal was so poor even when turned up to full in apps like Filmic Pro. I found it virtually unusable, very disappointing from Rode. The build quality and design were great but it needs to be able to capture sound or it’s pointless. Oh and you get a lot of handling noise as well, even with a handle on the phone, there’s no insulation from vibrations etc which is a big problem unless on a tripod. Cheers for the comment Nick. My main use for it was to remove wind noise in the outdoors. I too noticed handling noise but no more than the internal mics and I feel i have got a decent case to reduce that. Never used it with a tripod as if i’m going to cart a tripod about i’ll take a mic that cost more than £50. 🙂 This is a nice to have pocket option for me. That said it’s been now been replaced by the Shure MV88. (http://amzn.to/2dci8Ym) Over twice the price but over twice the mic.